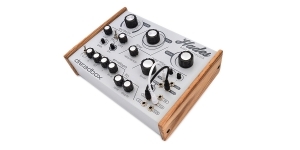 When the synthesizer is named after the Greek God, and it includes a large, prominent knob with the "Drive" inscription, you do not need to be a genius to understand what sound it covers. 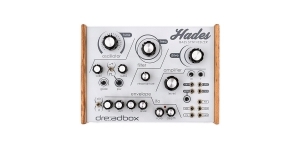 Dreadbox Hades is a semi-modular analog bass synthesizer made in Athens, an instrument that is valued for its "grainy" and "heavy" sound. The housing of the device is made of hard metal with wooden panels on the sides. In the rear part there is a MIDI input, power input and one 6.3 mono output. 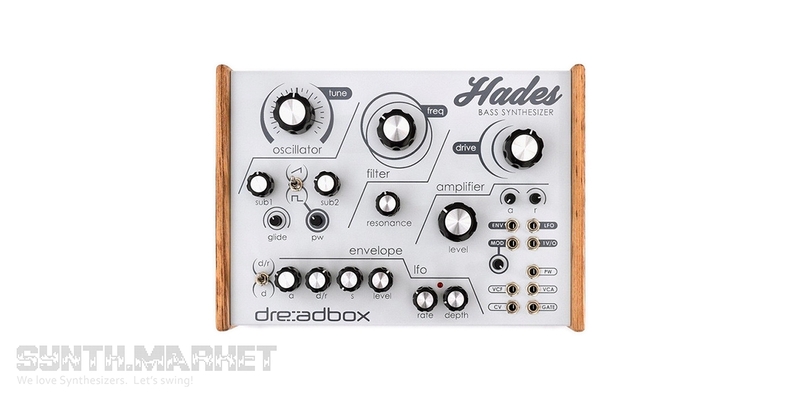 Hades includes one VCO, which can switch between square/saw waveforms, has a slide control, and the PWM meander alteration function. There is also a large pitch knob. The main oscillator is connected by a pair of auxiliary generators, 2 octaves below the main oscillator, each with a level control. The device offers a low-pass filter, 2 envelopes (2-stage attack/release in VCA and a 3-stage envelope), LFO with triangular wave. While its signal path does not offer the possibilities intrinsic to countless mono synths, the elements are nevertheless precisely tuned here to create dense, powerful bass sounds. 2 sub-oscillators are great, the frequency spectrum is filled with bass tones, and the "Glide" setting allows you to create beautiful legato sounds. Meanwhile, the 2-stage envelope of the VCA is somewhat limited, but among the envelopes in the front part, the 3-stage filter/pitch envelopes are much more versatile. The second envelope control knob makes it possible to switch between the decay and release modes, and the Level knob allows you to adjust the intensity. 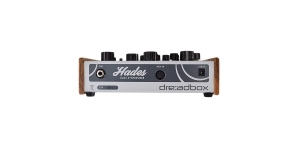 Dreadbox describes this envelope as an "extra snuppy", and in combination with a filter, it will be an excellent way to add an attack and a punch to the bass. 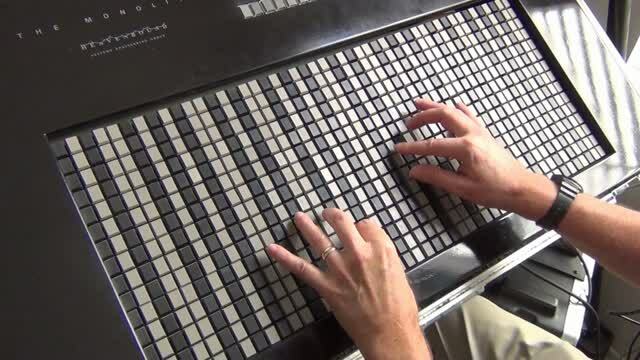 The LFO, meanwhile, ranges from slow panting up to 1000 Hz. Eurorack module Artificial Neural Network made of submodules by ARC company, a huge matrix keyboard by Jacob Duringer, Dreadbox Hades gets discontinued.